With the support of OSARA, a major contingent of researchers and students participated in the 2nd World Conference on Biological Invasions and Ecosystem Functioning (BIOLIEF), held from 21 to 24 November, 2011 in Mar del Plata, Argentina. Students from Ushuaia, Argentina and Punta Arenas, Chile had research posters at the event, and senior researchers from both countries also gave oral presentations. OSARA’s International Coordinator Dr. Alejandro Valenzuela also led a part of this team in writing a manuscript entitled “Linking Invasive Species and Their Ecosystem Impacts: Tierra del Fuego as a Natural Laboratory to Test Theory and Determine Action,” which will be part of a special edition of the journal Acta Oecologica, edited by Dr. Jorge Gutierrez of the Grupo de Investigación y Educación en Temas Ambientales – GrIETA. Researchers and managers from southern Chile and Argentina came together to analyze the socio-political process that has led to taking action against invasive beavers in the Tierra del Fuego Archipelago, publishing their findings in a new book chapter entitled “Building alliances between research and management to better control and mitigate the impacts of an invasive ecosystem engineer: the pioneering example of the North American beaver in the Fuegian Archipelago of Chile and Argentina.” It is hoped that the example of inter-institutional and international collaboration, being promoted by OSARA in Tierra del Fuego, will be a useful case study in other parts of the world. 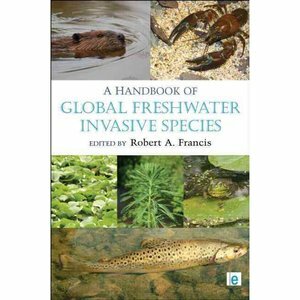 The chapter is part of a thorough and timely book published in December 2011 until the title of A Handbook of Global Freshwater Invasive Species, edited by Dr. Robert Francis and Earthscan Publishing. The team of authors included academics from the U.S., Chile and Argentina, as well as managers from Chile’s Agriculture and Livestock Service and the private wildlife management company Patagonia Wildlife Ltda. The chapter also included two master’s students as part of OSARA’s commitment to education and training in southern Patagonia. Anderson, C.B., N. Soto, J.L. Cabello, P.K. Wallem, G. Martínez Pastur, V. Lencinas, D. Antúnez & E. Davis (2011). Building alliances between research and management to better control and mitigate the impacts of an invasive ecosystem engineer: the pioneering example of the North American beaver in the Fuegian Archipelago of Chile and Argentina. Chapter 29, pp. 347-359. In. Francis, R. (ed.). A Handbook of Global Freshwater Invasive Species. Earthscan Publishing. London, U.K. 460 pp.